As adults, we know the importance of great dental care. Proper brushing and flossing prevents tooth decay, plaque and tartar buildup, gum disease and tooth loss. Getting children on board can be another story. It will likely take some gentle persuasion on your part to get your child on the right track. Teach your children good dental habits and be sure to supervise your child to make sure they are properly caring for their teeth and gums on a consistent basis. Instilling correct oral health habits in your child is important for their overall health. 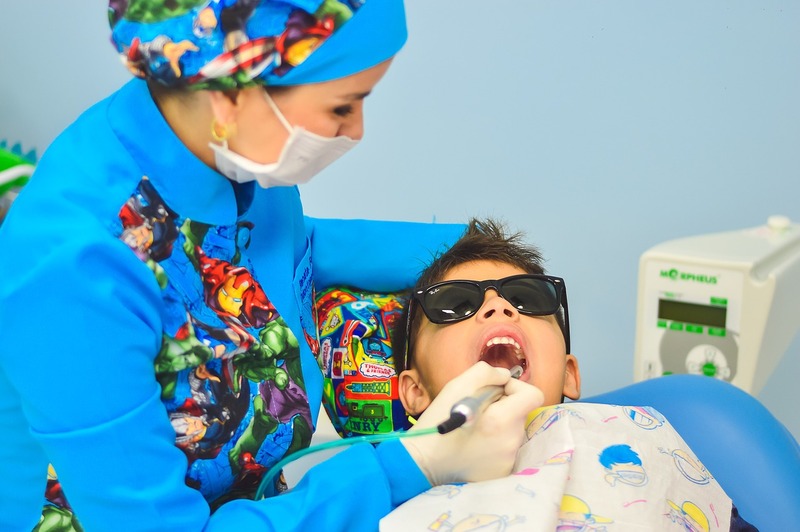 Regular at home dental care will help them avoid preventable tooth problems such as decay and dental caries, making trips to the family dentist less stressful for your child. Afterall, you don’t want the first impression your child has with the dentist’s office to be negative as a result of neglected oral health. Starting good oral habits early on in your chil’d life will help instill trust and a positive association with your dentist. Dental care should begin at the first sign of your baby’s teeth. While this ranges by child, it typically begins at around four months of age. Once the baby teeth begin to appear, you can use a washcloth to gently clean the teeth and then move to a small toothbrush designed for babies. At age one, schedule an appointment with a local pediatric dentist. 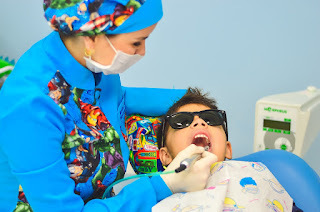 While it is important to have a professional check out your child’s teeth, it serves an even greater purpose – getting your child comfortable with the dentist. By the age of two, children should practice brushing their teeth with a children’s brush and a small amount of toothpaste. Use a pea sized amount of childrens toothpaste. Supervise your child to make sure they are thoroughly brushing their teeth. Make sure your child spits out rather than swallows the toothpaste. For children two and under, do not use fluoridated toothpaste unless recommended by your family dentist. Make it fun! There are so many great, kid friendly options for toothbrushes and toothpaste these days. Allowing your child to select their dental accessories ensures they’ll be excited about their brushing routine. Be a great role model. Kids want to be just like us. Invite your child to watch you as you get ready for work or for sleep, including your brushing and flossing. Or make your morning and evening brushing routines a family affair by brushing your teeth together. Don’t let infections and painful tooth problems as a result of neglected at-home dental care be your child’s first encounter with the dentist. Teach your child to take a proactive approach to their own health by brushing and flossing regularly and avoiding consuming sugary foods and beverages that lead to cavities. Remember, the health of your child’s teeth and gums has a direct impact on their overall health.